First of all, the start time of the cell motor has been shortened to the first engine start in the morning, and a sense of acceleration can be obtained smoothly. This review is about item#32125247. Personally I like NGK over Denso. The plug is decided as NGK. This review is about item#35021682. You can buy NGK products at a low price. I use it at ease. This review is about item#58120937. Currently 85,000 Km, from the purchase of a new car (Suzuki Sorio MA34S) 10 years, I considered upgrading to prepare for 100,000Km, but for the time being choose a new car equipped model. I had a hard time removing the old plug due to heat adhesion, but the replacement work was finished smoothly. The engine is improved, the noise and vibration at idling are reduced, and the movement of the car at acceleration / deceleration is smooth, making it very easy to drive. I think that it would be better to replace the number of engine cylinders at once, rather than replacing them in units of one, so it would be better if there were multiple set discounts. This review is about item#35021314. 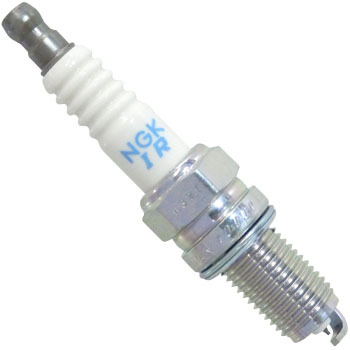 As it became distance of plug exchange, we purchased NGK made of relief. This review is about item#35021804. It is NGK of relief. It's a rare kind of plug, so it's not easy to buy cheap, so it helps. By the way, I used it for premacy. This review is about item#35021472. The previous owner did not replace it and it was dirty. I hope this will improve fuel efficiency. This review is about item#74035684. I use this because it is useless because it is useless. This review is about item#35021716. Since it was replaced by a vehicle that exceeded 100,000 km, the startability is good and the vibration during idling has decreased. This review is about item#35021481. The id song is not stabilized and it seems to be stalled immediately, there is an impression that "it does not ignite well" Because it was exchanged for this item. The symptoms disappeared and fuel consumption improved. This review is about item#58120964. The car has more than 100,000 kilometers and there is a meaning of refreshing, exchange with the air element, the taste improves and the engine is in good condition. If it is the same product, it is a consumable item, so there is nothing to be cheap. Because I bought a used car, I changed it as a refreshment. After replacement the engine got to run smoothly I was caught at a specified number of revolutions, but it was softened. Usually it is not exchangeable up to 100,000 kilos, but it seems to be good if you exchange it in about half. It is also a new car assembling plug and there is no problem. We use it with confidence. Pleo RS Custom Limited 2 10,000,000 kilograms approached and it came to breath during acceleration, so after confirming the plug, the electrode was half-moon shaped! As a result of various searches, I bought it because it was cheap in Dantotsu. After replacing it with a new one it is quite good! This review is about item#35021707. I am satisfied with good startability and fuel economy. It is economical with a long life of 100,000 kilometers. Iridium is said to have durability, but if it is a car with old habits the balance of reduction will change. Because it is difficult to scrape or adjust like an old plug, it will be replaced immediately in my case. It became this commodity if it was cheap and looking for such a thing. Now I feel comfortable without problems and comfortable feeling! I think that we will see how much trouble it is after a while. Currently dissatisfied! Especially without problems, I can use it conveniently as usual. There is nothing especially concerning the price and advantage.